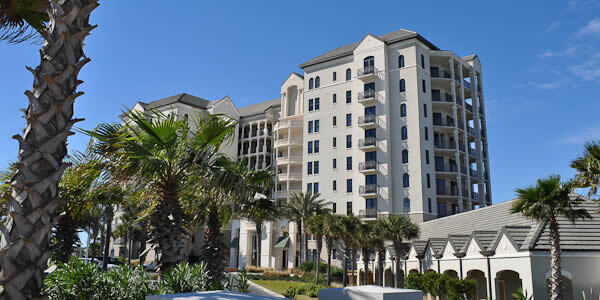 Nestled in the heart of Perdido Key, your first view of the Venetian, Tuscan inspired Florencia Condominiums set the tone for all that is to come. This complex is a perfect trifecta of adventure, family, and friends perfectly located in lush landscaping with a tropical flair. This affordable paradise is on Old River next to Perdido State Park and is steps away from the Gulf of Mexico. Florencia is an elegantly constructed mid-rise condominium that has nine floors with 66 individual residences in total. This gated resort offers an abundance of amenities. The private marina and boat slips adjoin the protected beach and boardwalk. 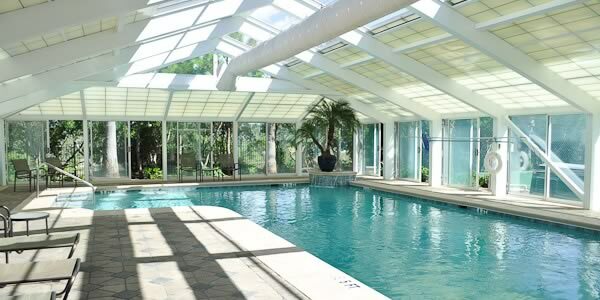 The grounds include an outdoor and an indoor pool that is heated seasonally for your comfort. You will also enjoy tennis courts, fishing, use of the owner's lounge, sauna and steam room, and the entertainment area with picnic and grilling facilities. The marinas here are on the Old River, part of the Intracoastal Waterway. Located 20 minutes from downtown Pensacola to the east and Gulf Shores to the west, Florencia is a world away from the crowds and chaos. Located next to Perdido State Park, this 247-acre preserve provides a natural habitat for a variety of shorebirds, sea turtles and dolphins. The park is a prime area for all beach and water recreational activities. If you would like to view additional pictures, have a look at our Florencia Photo Gallery. Have a look at the Florencia Market Report, it allows buyers to evaluate current listings, pending sales and recent purchases in Florencia over the past 18 months. Potential sellers can utilize this report to assist them in determining the current market value of their specific condo unit. It is possible that there are units for sales in addition to the ones listed here. If you do not see the condo you are seeking, contact us, and a Realtor will assist you.